The EHG® SL10 controller software allows the user to configure, monitor, log and chart data from Watlow’s EHG SL10 integrated multi-function controllers. 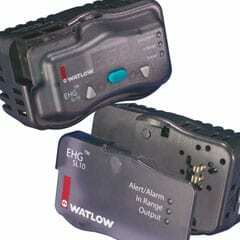 The controller software provides an easy-to-use and centralized interface for multiple EHG SL10 controllers. This controller software gives the user the ability to change set points, label devices and much more all with the click of a key. 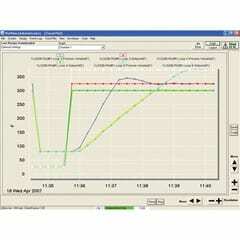 Download the EHG SL10 temperature control software from the Literature & Downloads tab below. The EZware-5000 operator interface software suite creates, edits and manages projects for Silver Series operator interface terminals (OIT). The suite includes EasyConverter, EasyBuilder5000, Project Manager and Recipe/Extended Memory Editor programs. The Silver Series programming software, EasyBuilder5000, features a large variety of built-in screen objects that makes it easy to use and very powerful. When creating screens, the user can call upon extensive graphics libraries, import custom graphics and add numeric displays, entry fields, analog meters, bar graphs and trend graphs with just a few mouse clicks. Screen objects are highly customizable, and the user can create libraries of their own objects for repeat use. The online simulator, Ethernet and universal serial bus (USB) support make testing and downloading fast. EZ-ZONE® Configurator software allows Watlow® EZ-ZONE products like PID controllers, integrated controllers, solid state controllers and others to be configured in one simple process. 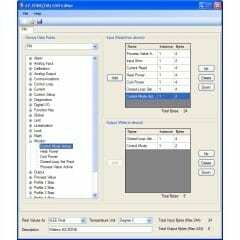 Its interface is flexible and easier to read than the basic remote user interface (RUI). It operates without requiring purchase of communications options as it uses the standard bus communications protocol that is included with all EZ-ZONE products. The EZ-ZONE Configurator software is available as a free download under the “Literature & Downloads” tab below. The EZ-ZONE® GSD Editor software allows users to create custom general station description (GSD) files for configuring communications between EZ-ZONE products and other automation equipment supporting the PROFIBUS DP communications protocol. Download the EZ-ZONE GSD Editor software free of charge from the “Literature & Downloads” tab below. 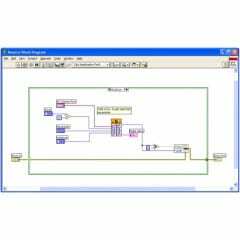 This instrument driver for National Instruments’ LabVIEW™ software communicates with Watlow’s EZ-ZONE suite of controller products via the standard bus communications protocol that is included with all EZ-ZONE controller products. The LabVIEW™ instrument driver software package, created with LabVIEW™, simplifies development of applications such as test software. These instrument drivers include software functions called LabVIEW™ Virtual Instruments (VIs) that are used with LabVIEW™ to communicate with Watlow products such as the EZ-ZONE PM. The EZ-ZONE LabVIEW™ instrument driver software is available as a free download from the “Literature & Downloads” tab below.